For decades, Japan simply imported the wares of foreign cultures, but recession has led to invention. The country has begun creating the finest American denim, French cuisine and Italian espresso in the world. Now is the time to visit. Imagine going into an espresso bar, as I did in Tokyo, ordering a single shot, and being told that it's not on offer. The counter at No. 8 Bear Pond may feature the shiniest, spiffiest, newest La Marzocco, as well as a Rube Goldberg–esque water-filtration system, but the menu, which lists lattes and Americanos, makes no mention of espresso or cappuccino. "My boss won't let me make espressos," says the barista. "I need a year more, maybe two, before he's ready to let customers drink my shots undiluted by milk. And I'll need another whole year of practice after that if I want to be able to froth milk for cappuccinos." Only after 18 years as a barista in New York did his boss, the cafe's owner, feel qualified to return home to show off his coffee-making skills. Now, at Bear Pond's main branch, he stops making espressos at an early hour each day, claiming that the spike on the power grid after that time precludes drawing the voltage required for optimal pressure. Such obsessive—some might say insane—pursuit of perfection, in coffee and cuisine, clothes and comforts, isn't unusual in Japan: In a tiny tapas place in Kyoto, while drinking perfectly poured cañas—small draft beers—and eating deep-fried croquetas de jamón, I reach for a napkin, which turns out to be just a thin sheet of waxy paper that doesn't so much absorb oil as push it toward another, cleaner, part of my hand. "I think these are Spanish napkins," Gonzalo, my Bilbao-born companion, says in disbelief. It's almost too ridiculous to think that anyone would import such a shoddy implement from halfway around the world. But the owner of this restaurant tracked down these servietas, priced them out, shipped them in, and stacked them up in custom metal dispensers, all because, in one frustrating wipe, they re-create the experience of consuming tapas in a packed barroom in Spain. Whether or not the diners appreciate this is beside the point. It used be that the Japanese offered idiosyncratic takes on foreign things. White bread was transformed into shokupan, a Platonic ideal of fluffiness, aerated and feather-light in a way that made Wonder Bread seem dense. Pasta was almost always spaghetti, perfectly cooked al dente, but typically doused with cream sauce and often served with spicy codfish roe. Foreign imports here took on a life of their own, becoming something completely different and utterly Japanese. During the robust economy of the '80s, Japan's exports ruled, and the country would import the best that money could buy from the rest of the globe, including Italian chefs and French sommeliers. 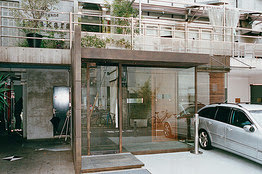 Which made Japan an haute bourgeoisie heaven where luxury manufacturers from the West expected skyrocketing sales forever. But now 20-plus years of recession have killed that dream. Louis Vuitton sales are plummeting, and magnums of Dom Pérignon are no longer being uncorked at a furious pace. That doesn't mean the Japanese have turned away from the world. They've just started approaching it on their own terms, venturing abroad and returning home with increasingly more international tastes and much higher standards, realizing that the apex of bread making may not be Wonder Bread–style loaves, but pain à l'ancienne. Japanese chefs are now cooking almost every cuisine imaginable, combining fidelity to the original with locally sourced products that complement or replace imports. When they prepare foreign foods, they're no longer asking themselves how they can make a dish more Japanese—or even more Italian, French or American. Instead they've moved on to a more profound and difficult challenge: how to make the whole dining experience better. As a result of this quest, Japan has become the most culturally cosmopolitan country on Earth, a place where you can lunch at a bistro that serves 22 types of delicious and thoroughly Gallic terrines, shop for Ivy League–style menswear at a store that puts to shame the old-school shops of Cambridge, Massachusetts, and spend the evening sipping rare single malts in a serene space that boasts a collection of 12,000 jazz, blues and soul albums. The best of everything can be found here, and is now often made here: American-style fashion, haute French cuisine, classic cocktails, modern luxury hotels. It might seem perverse for a traveler to Tokyo to skip sukiyaki in favor of Neapolitan pizza, but just wait until he tastes that crust. None of this would be particularly surprising—blue jeans, college sweatshirts and other American fashions were then popular the world over—if not for the fact that Tsujimoto and others like him would go on to design and construct versions of iconic American wardrobe staples that are far better than anything now, and probably ever, made in the U.S. 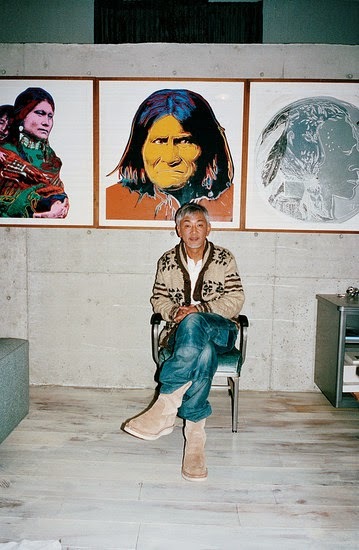 These designers didn't open their businesses to beat Americans; Tsujimoto started the label because he wanted to sell the best vintage clothing in the world, but the good old stuff was running out. 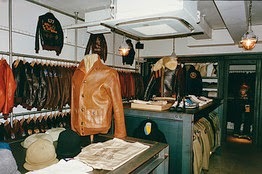 His solution was to make his own flight jackets, chambray work shirts, loop-wheeled cotton sweatshirts and selvage blue jeans. "The biggest innovation in clothing history was the invention of jeans," Tsujimoto says, standing in a stockroom filled with his denim. "It's the garment that conquered the world." But with jeans, as with everything Tsujimoto makes, it's not about merely imitating classic styles. "It's not so difficult to make something that's 100 percent the same as the original," he says. He holds up a heavy, metal zipper, American-made new old stock. "I've got 500,000 of these. Enough for the next 40 years. "But the key isn't just getting the details right—it's knowing when to change things," Tsujimoto continues. "My style has to be an improvement: With 1 percent more here, 2 percent less there, we create something that looks better. You have to change the fit because all these classic garments were designed with extra room to carry tools or weapons." He takes a deerskin-lined flight jacket off the rack and points out the colorful American military design stitched onto the back. He passes me what appears to be a standard-issue '50s-style gray cotton sweatshirt until I actually touch the thing. The heft of the loop-wheeled cotton makes it the thickest, heaviest sweatshirt I've ever felt. These kinds of items might suggest that Tsujimoto aims for a young, casually dressed clientele, but his price point tells a different story: The jacket retails for about three grand, the sweatshirt $250. "My customers are guys age 30 to 50 who grew up obsessed with this kind of clothing," he says. "They bought American stuff at thrift stores when they were younger. Now they've moved on to my stuff." That Tsujimoto dissects the details of great American clothing of the '50s and then brings that style to life again in new and better ways indicates the extent to which the pure, unadulterated power of obsession drives brands like the Real McCoy's. 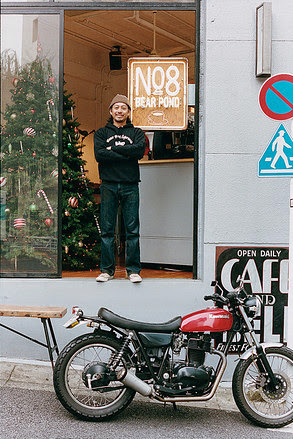 But it also signals something else: Tsujimoto is the poster child for a highly specific Japanese male subculture, and it's the connection to this subculture that drives his customers to spring for $350 jeans in the midst of a two-decade recession. 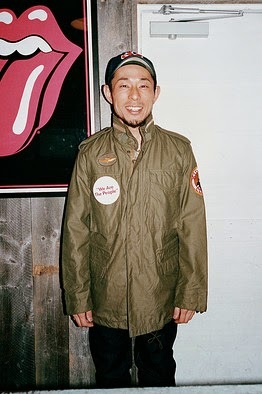 Tsujimoto's clothes have been featured in Japanese men's magazines like "Lightning" and "Free & Easy," which are categorically different from anything in the U.S. or Europe. The November 2011 issue of "Lightning" weighs in at a whopping 482 pages, while November's "Free & Easy," at a more modest 290 pages, devotes 42 of them to the World Navy Blazer Championship. There's a reason J.Crew men's stores in New York City now sell these magazines even though they're without English translations: These fashion bibles reveal just how much more educated and sophisticated Japanese consumers are than others in the world. These publications don't just help readers understand the subculture they want to be a part of, but they also explain in fetishistic detail why garments like Tsujimoto's are the ultimate expression of that identity. It's no surprise to see the top ranks of Japan's Red Guide populated by tiny sushi bars and extravagant kaiseki restaurants, but each year there are also more and more non-Japanese restaurants earning stars for their creative cooking. One of Tokyo's three-star establishments—an honor awarded to only 15 restaurants in the main cities of Europe but to 16 in Tokyo alone—is Quintessence, which serves contemporary French food created by a young Japanese chef named Shuzo Kishida. The place, located in the tony, mostly residential district of Shirokanedai, is small, inconspicuous and unpretentious—everything that three-star restaurants in France generally aren't. The heavy black menus offer no dishes, only a short manifesto from the chef explaining that he will choose what we eat. After taking away the menu, the maître d' returns bearing two small white bowls containing goat-cheese bavarois, made from Kyoto goat's milk. The soft pillows of stark white cheese, topped by off-white macadamia slivers, are ringed by bright yellow olive oil. The cheese has the texture of the softest tofu and just a hint of tanginess from the goat's milk. Cut by a dash of pure olive flavor, complemented by the crunch of the nuts, with just a few flakes of sea salt on top, the cheese is transformed from something rich-tasting and farm-fresh into a rounded, subtle and complete dish. When the maître d' pours a glass of sweet, crisp French white wine to go with the next offering, I ask him why he wears so many hats in a restaurant that could afford to take on more staff. "If I just manage this place but don't serve dishes, then what's the point?" he says. "I want to see exactly how each customer responds to what we put before them." He comes back with the dish that matches the sweet white: Quintessence's take on a traditional boudin noir tart. In the center of a gray slab of slate sits a small rectangle of thin pastry, topped by a layer of fruit compote and a coating of deep-black blood sausage, with a dollop of foie gras. I cut off a corner and spread on a tiny dot of yuzu sauce, a paste made of a Japanese citrus fruit mixed with pepper and salt, which brings the disparate elements of the dish together in an original, fresh, spicy way. Later Kishida joins me for a coffee. Thirty-seven and slightly built, he carries himself in a way that manages to be both authoritative and humble. After we discuss the details of the dishes, I ask him about what the maître d' told me. "I bought this restaurant myself just a few months ago from the group that owned it since it opened," he says. "I did that for one reason: to cook how I want in a way that connects me to each customer. I refused to make this place any bigger. I need to personally taste every single dish that leaves my kitchen." The concept of tiny restaurants that rely on personal interaction is firmly rooted in Japanese tradition. So, what's special about what's happening at a place like Quintessence? 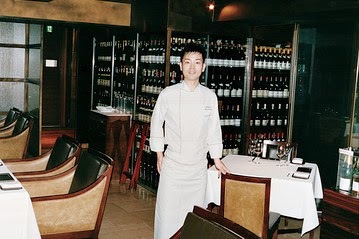 Like many chefs in Japan, Kishida traveled to France to apprentice and spent years there perfecting his craft. According to almost every non-Japanese chef I've spoken to, Japanese chefs, even those cooking non-Japanese cuisines, are the most highly trained and technically adept in the world. Patrice Martineau, a French chef now in charge of Peter restaurant in the Peninsula Tokyo, put it this way: "I'm living the dream of every French chef I know. I have an entire kitchen staff of Japanese working under me. There's no one in the world who works harder, faster, better." When Japanese chefs finally return home to cook, the restaurant business gives them a kind of auteur status that's virtually unheard of in the rest of the world. Cesar Ramirez's Chef's Table at Brooklyn Fare, which was recently awarded three Michelin stars, famously seats only 18. But there are hundreds of such tiny non-Japanese restaurants in Tokyo alone, and many thousands more Japanese places. By keeping their spaces small, their staff skeletal and their selection limited, they have the chance to develop their cuisine without the financial pressure of a larger business. Even when these ventures succeed, as Quintessence most definitely has, their aim still isn't to serve hundreds of guests a night. All of which indicates something different—and better—about dining in Japan: Whereas Gordon Ramsay and other superstar chef brands seek to expand and conquer the city, the country, the world, the goal here is to connect a chef with the people he's feeding. It's brunch time on Saturday at the Peninsula Tokyo, and a line of dark-suited men and kimono-clad women suddenly assemble inside the hotel's entrance. Moments later an ancient Rolls-Royce pulls up front and a bride dressed in a extravagantly decorated Shinto wedding dress climbs out and steps slowly through the lobby, carefully balanced on her wooden zori. At the end of the receiving line stands Malcolm Thompson, the hotel's general manager, who bows and then claps with the wedding guests. 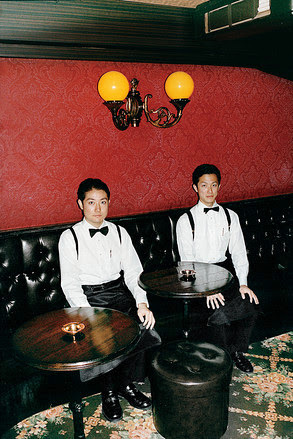 Flanking the British-born Thompson are a couple of elegantly attired Japanese men who look like boardroom presidents but spend their days in the lobby greeting guests. "We realized early on," Thompson says, "that some Japanese guests felt intimidated if everyone working at the hotel was much younger than them, so we hired older gentlemen to make them feel at home." While Japanese-run restaurants, labels, stores and bars have come to dominate the scene, in Japan's high-end hotel business, foreign brands rule. Yet what's interesting is that they haven't thrived by simply imposing their outside vision of luxury accommodations on Japan. 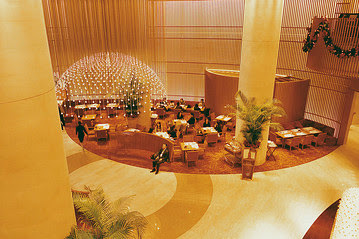 The Peninsula Tokyo (whose parent company is based in Hong Kong) has been successful, Thompson explains, by incorporating deep Japanese hospitality into its model. "In other parts of the world, I would have to train staff on how to behave toward guests," Thompson says. "Here, that's the kind of knowledge every Japanese employee already possesses on an almost instinctive level." In many cities around the world, hotels cater to so many foreigners that it matters most to deliver high-level, albeit generic international hospitality. But the Peninsula, with a client base that is now about 60 percent Japanese, was forced to adopt native customs. The formality of Japanese culture takes a subtle yet distinctive form at the hotel. 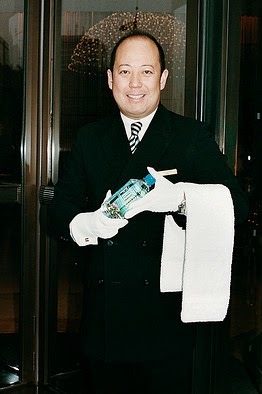 Upon seeing a guest returning from a run, a doorman outside radios in so that just as he crosses the threshold, the runner is greeted with a bottle of water and a hand towel. "That's omotenashi," Thompson explains, "a kind of hospitality that involves anticipating what your guest needs." Which is the simplest explanation of what a great hotel is supposed to do. 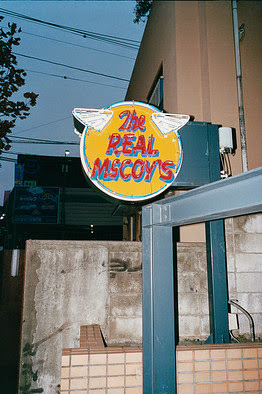 There's no way for anyone to ever get to know all the great bars of Tokyo," says my friend Nick, a spirits expert who's been living in the city for 10 years. Looking around the city's drinking mecca, Ginza, it's easy to see why: The blocks are filled with multistory buildings housing three or four bars per floor. "There are hundreds of buildings like this just in Ginza," Nick says. There are bourbon bars that stock more stuff than anywhere in the Bourbon Belt, bars that serve only drinks made with the freshest fruit, others that have perfected one thing, such as Rockfish, where the whiskey highball craze that recently swept Japan found its most perfect expression. Then there's Star Bar. There are flashier bars, showier bartenders and places with edgier offerings, but owner Hisashi Kishi is a bartender so masterful and revered that fellow bartenders are often too intimidated to enter his place. It's small, of course, and the lighting and music are just right. But what it all comes down to here is how Kishi works to transform ingredients available to every good barkeep into cocktails that are colder, brighter in flavor and sharper in the balance of sweet, alcoholic and bitter tastes. Assembling a Manhattan, he carefully maneuvers each ice cube into the tumbler and then pours everything by eye, decisively, smoothly, without spilling a drop. He stirs as if mesmerized by the motion, tastes his creation, nods an OK to himself and pours the brown liquid until it reaches the rim of a glass. It's only slightly sweet, with a hint of bitters, chilled as cold as can be. But what's really so different about this Manhattan? After a certain point of technical perfection, don't cocktails just come down to set and setting, like the LSD gurus used to say? 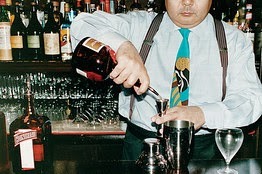 It's this embracing of bartending as a vocation that makes Japan's bars better than those anywhere else in the world. There's also the hyperspecialization encouraged by the fact that bars can be so small—and that almost every narrow pursuit can find enough customers to at least break even. But maybe the central reason this city is so amazing for drinkers is that the quest to find the best is, by definition, a Sisyphean task. "And the thousands of bars I have to hit along the way to that impossible goal aren't too bad either," Nick says. The most obvious proof that Japan is fast becoming the best place in the world to eat, drink, shop and sleep is that America is starting to import non-Japanese wares from Japan. Six years ago New Yorker Gordon Heffner, who had worked in the Garment District for a decade, and his Japanese business partner made a bet that Japanese denim was so good, despite its expense, that Americans would come to covet it. 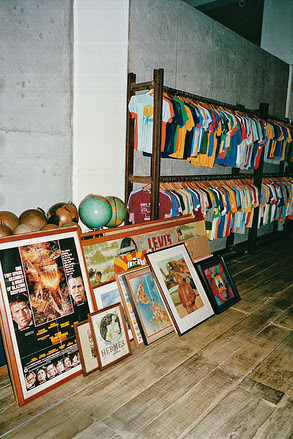 The two opened SoHo shop Blue in Green, which stocks only Japan-made jeans, as well as the Real McCoy's clothes. Now they're not just successful, but they also have competition in what seems to be a niche market. 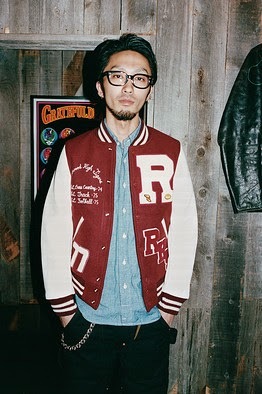 And Japan's best designers are even migrating to our shores: One of the most acclaimed boutique brands, Engineered Garments, is helmed by Japan native Daiki Suzuki but manufactured in New York City. Suzuki, also head designer for Woolrich Woolen Mills, brings a distinctly Japanese sensibility to traditional American attire. High-end consumer culture in Japan survived 20 years of economic decline and has actually become much better, in critical terms, though also less profitable than it was when Japan, Inc., ruled the world. The Japanese, animated by the principles of perfection, specialization, craft and obsession that they have long brought to their own culture, have applied the same standards to Basque cuisine, Rhum Agricole cocktails, American-style outerwear, and almost everything else wondrous and obscure from the rest of the world. And while the Japanese have done an admirable job of exporting their native cuisine and culture, perhaps the next challenge for their flagging economy is to learn to export everything they do best. While some of these ventures do well financially, others just seem to hang on. Japan's superior cocktails, cuisine, clothes and hospitality deserve to catch on globally, but who knows if they will even continue to last in Japan. Which is precisely why this is the moment to visit.